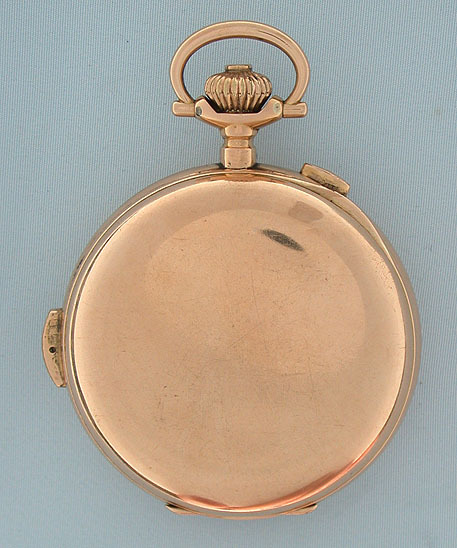 Swiss 14K gold hunting case minute repeater moon phase calendar chronograph antique pocket watch circa 1890. 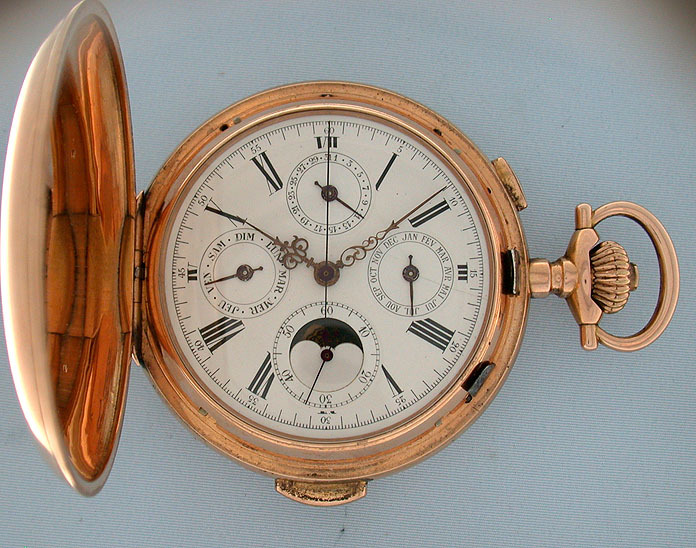 White enamel dial (small hairline) with indications for day, date, month, moon phases, and chronograph. 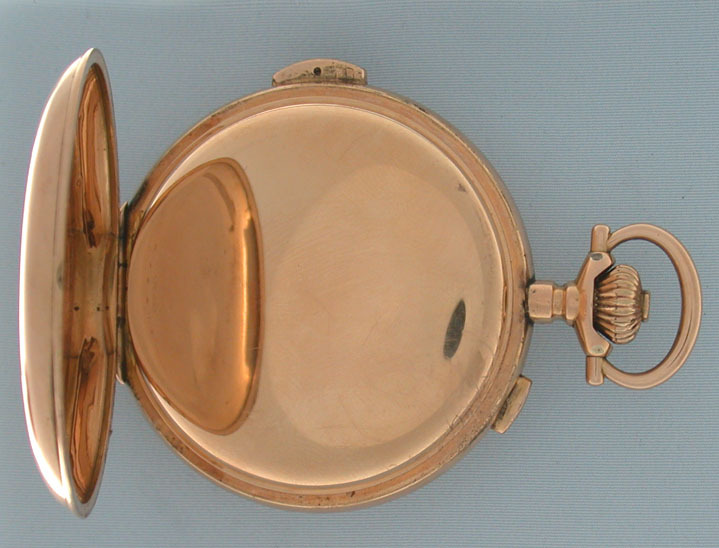 Substantial plain polish case with repeater and chronograph buttons in the band. 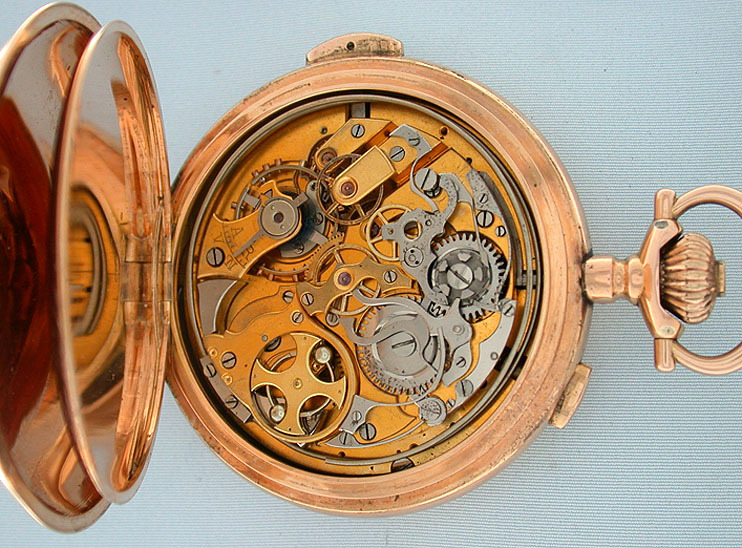 Gilt 16 jewel movement with visible chronograph and repeater works. 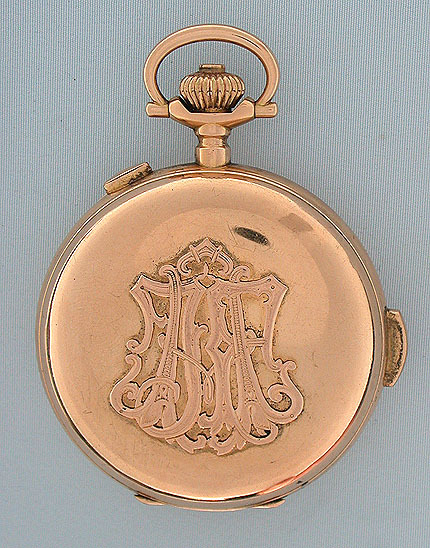 When activated, this watch chimes the time using different chime tones to designate the hours, quarter hours and minutes. This is a good example with loud clear tone.